Bwindi Impenetrable Forest National Park is best known for its Mountain Gorilla populations and gorilla tracking although, it also offers some of the finest montane forest birding in Africa and is a key destination for any birder doing a Safari to Uganda. Amongst the numerous possibilities are no fewer than 23 of Uganda’s 24 Albertine Rift endemics, including spectacular, globally threatened species such as Shelley’s Crimson wing and the African Green Broadbill. Bwindi is one of the few national parks in Africa to have flourished throughout the last Ice Age and it is home to roughly half of the world’s mountain gorillas. Though it is best known for its outstanding gorilla tracking, it also provides refuge to elephant, chimpanzee, monkeys and various small antelope and bird species. The variant biodiversity is supported by the fact that Bwindi is extremely old and also its slopes extend over a broad altitudinal range of 1447m above sea level, enabling habitats ranging from lowland forest to Afromontane vegetation. The Buhoma sector was the first to be developed for gorilla tourism and is the most popular of all the four sectors. It is at this sector where other walks have been developed including; the Munyanga River Trails in the valley of Buhoma, which is a short walk for viewing birds and primates along the forest edge. The waterfall trail which passes beneath tree ferns, epiphytic ferns as well as orchids to visit three dazzling waterfalls. The Rushura Hill Trail, Muzabajiro Loop Trail and the River Ivi Trail of which the latter follows an old raod through the forest, emerging near Nkuringo on the southern edge of the impenetrable forest. The Buhoma community walk and cultural performances which takes up to three hours visiting a typical homestead, the traditional healer and a banana beer brewery is organized by the local community. Of recent, the Batwa cultural experience has been developed in this section of the park. Gorilla families in this sector include; Rushegura, Mubare and Habinyanja. The Nkuringo sector which lies closely to the Buhoma sector is about 10km from Buhoma although this distance is covered by the Impenetrable Forest and a walk through the forest takes about 4 hours. Connecting by the car from the two points takes about 7 to 8 hours. Villages at Nkuringo also operate a community walk that visits a traditional healer, rural homestead, blacksmith and brewers. Nkuringo gorilla family is the only family in this sector. The Ruhija sector which is famous for its abundant birdlife on top of the gorillas is considered the most remote sector of all the four. There is a three hour hike to visit the Mubwindi swamp and this rewards birder lovers with countless bird species. Gorilla families in this sector include; Ruhija, Bitukura and Kyaguriro. 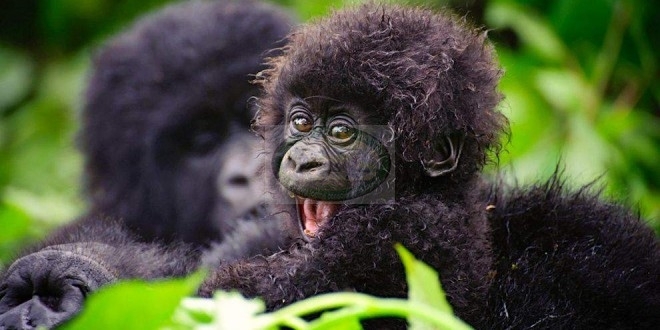 The Rushaga sector boasts the highest number of gorilla family to include; Mishaya, Nshongi, Kahungye, and Busingye. It lies between Kabale and Nkuringo coming from either Ruhija or Kampala. The major activity in Bwindi is; Gorilla tracking limited to a maximum of 8 people per particular gorilla group per day – Permits must be booked before since they are on a very high demand all year round. Guided forest walks: Immerse yourself in the Impenetrable Forest, with waterfalls, views of the Virunga Mountains and rivers, in a selection of three- to eight-hour trails. Village walks, music and dance performances and Batwa walks (Batwa Cultural Experience) at Nkuringo, Nyundo, Buhoma and Rubuguri offer memorable experiences for culture lovers. "Real travel for the conscientious tourist"